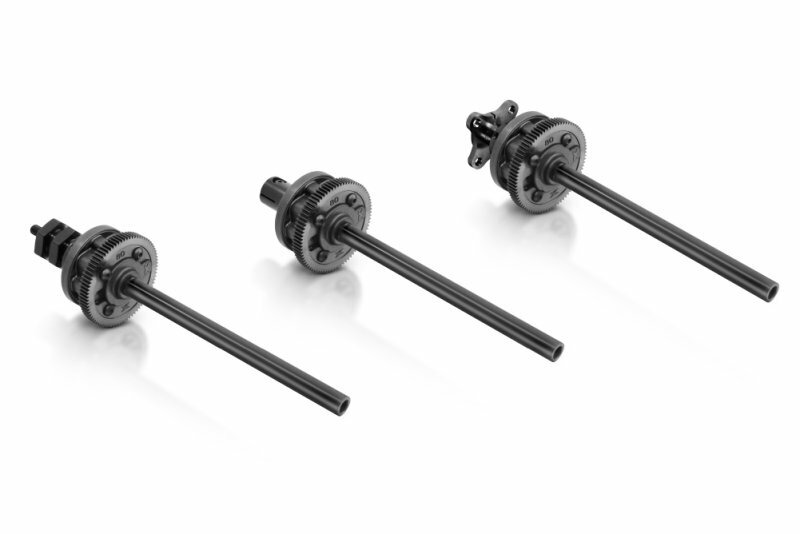 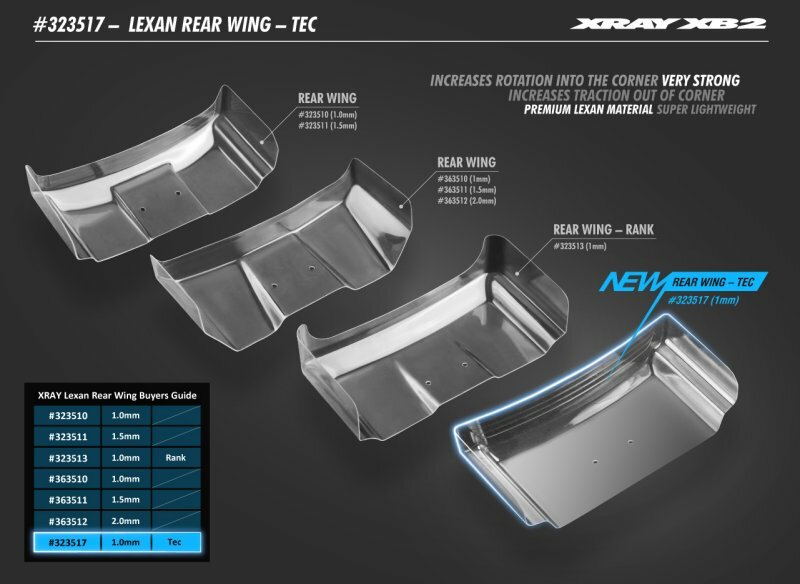 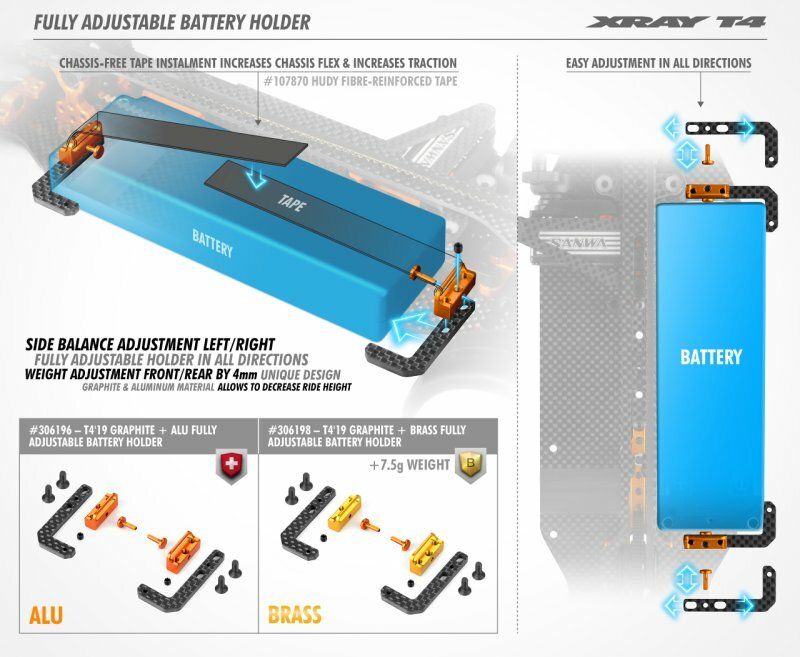 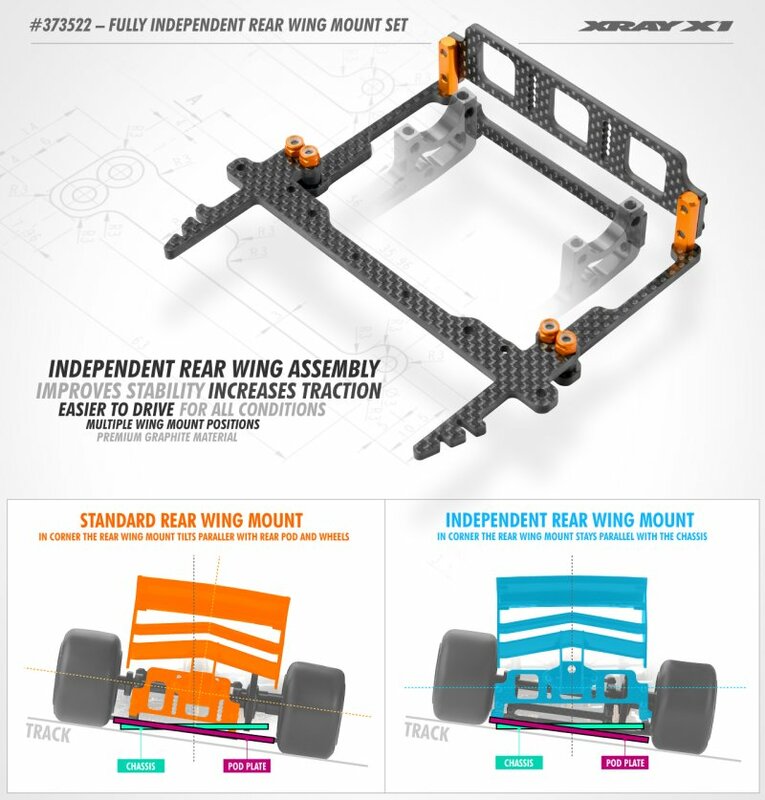 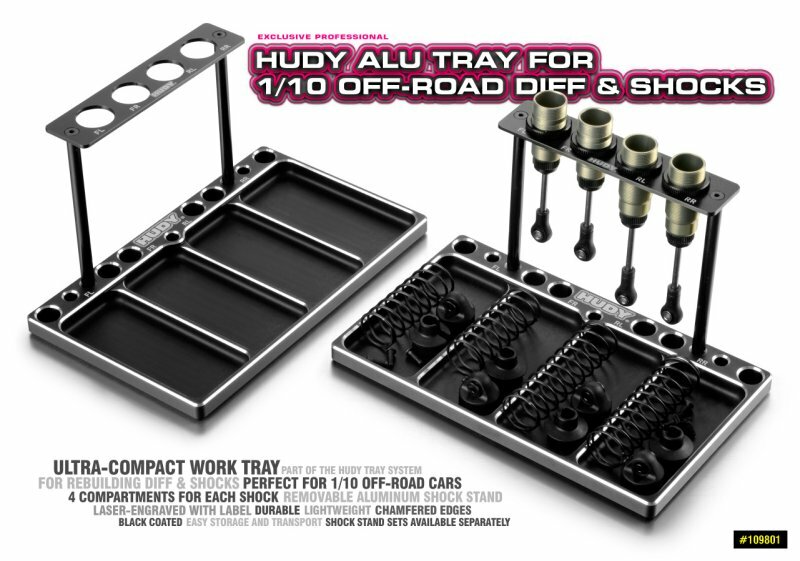 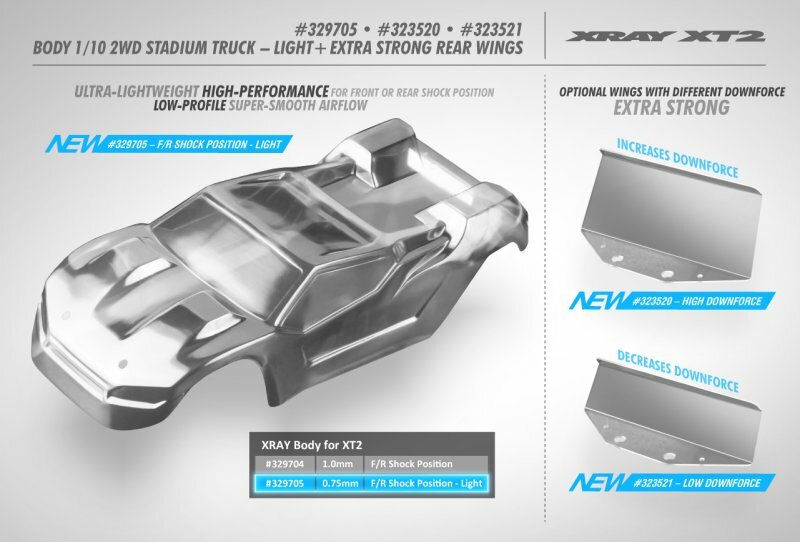 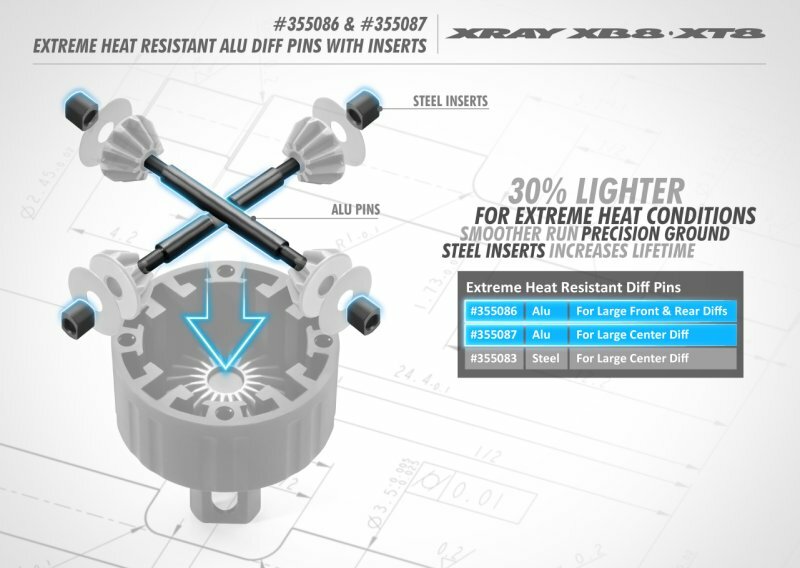 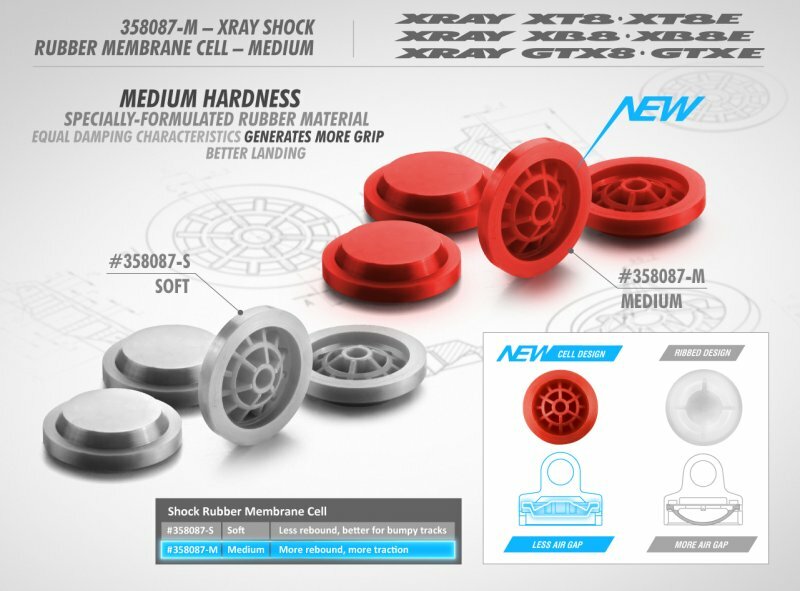 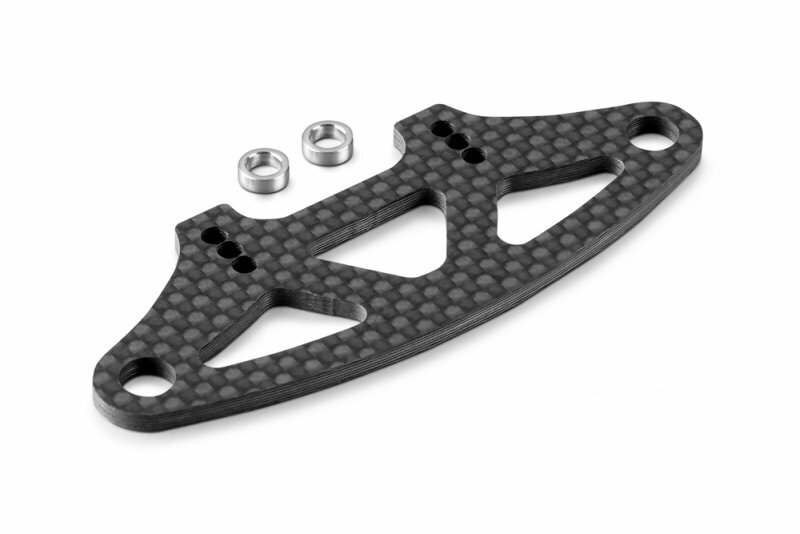 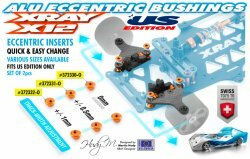 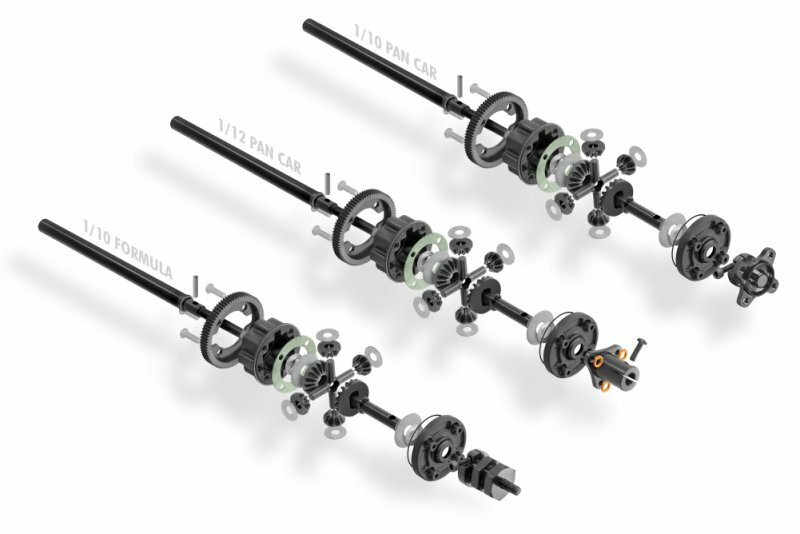 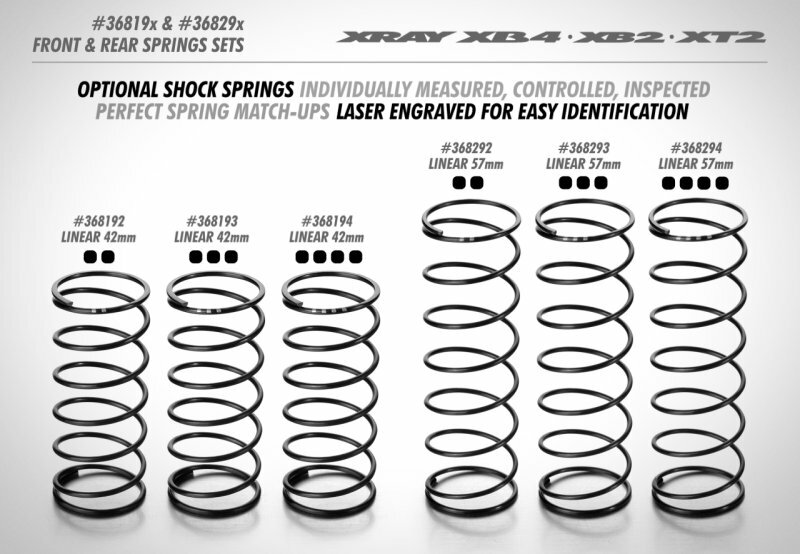 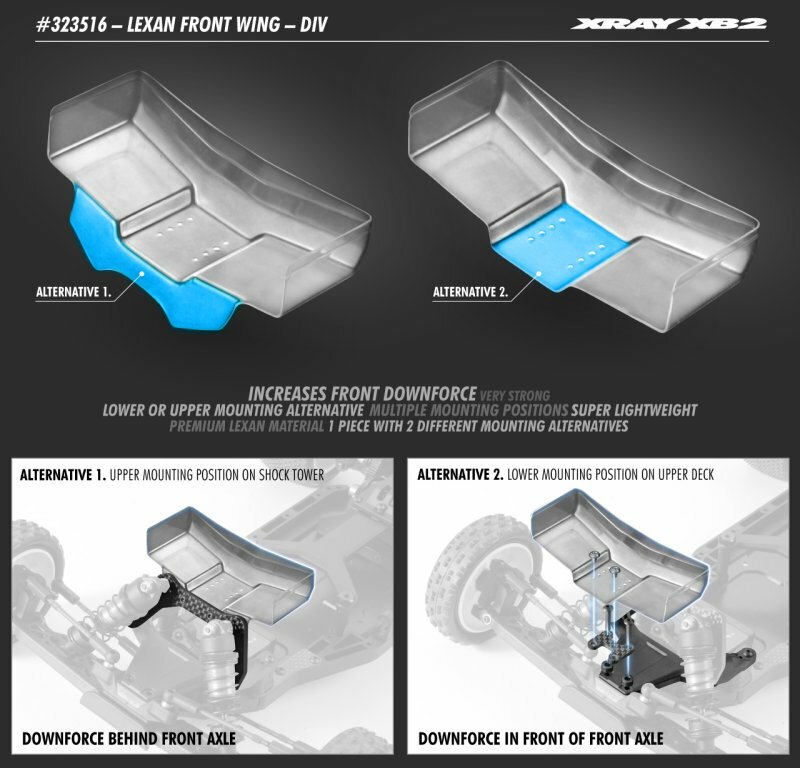 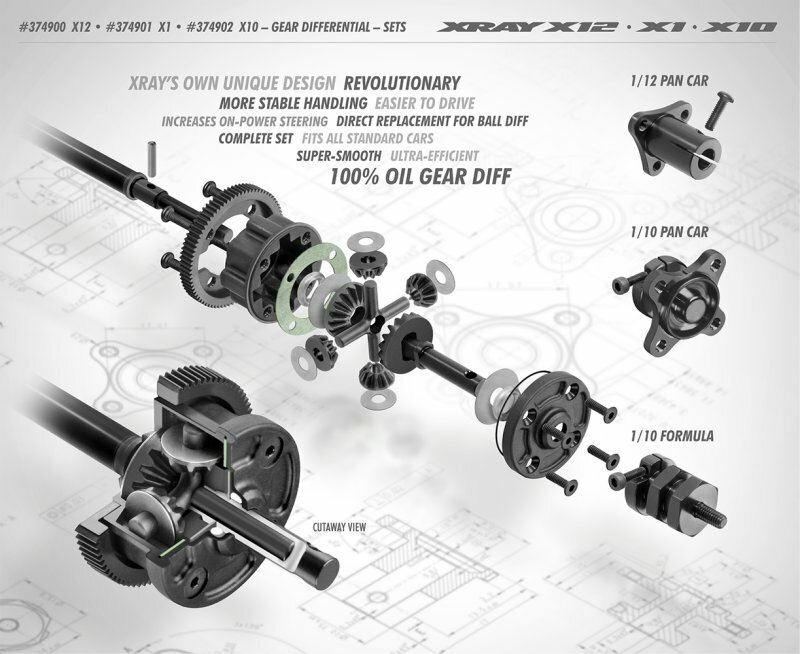 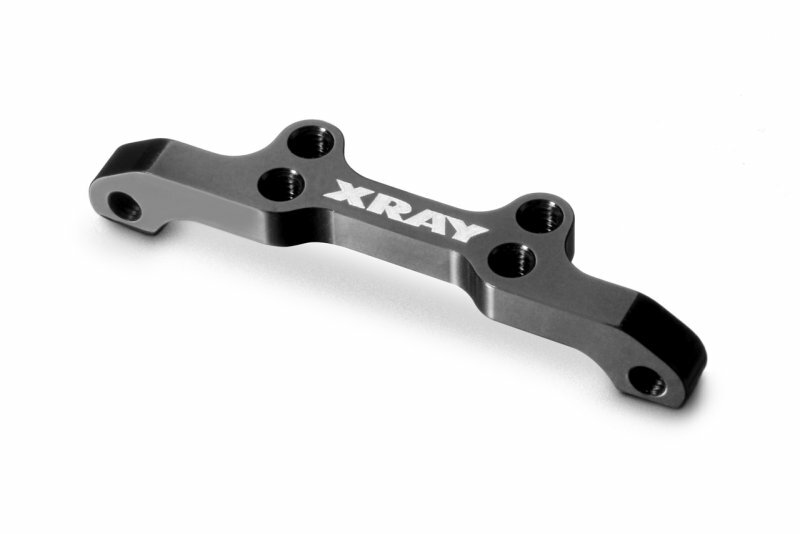 XRAY self-designed, revolutionary, super-smooth gear diff for 1/12 pan cars is a direct replacement for the ball-differential; it is a complete set which requires no other extra parts and no extra adjustments. 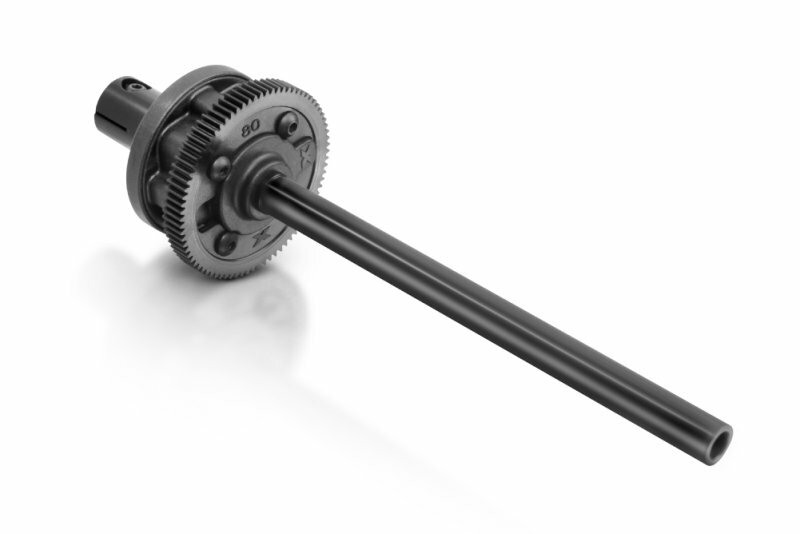 Using the gear differential makes the car more stable and easier to drive, especially in high-traction conditions. 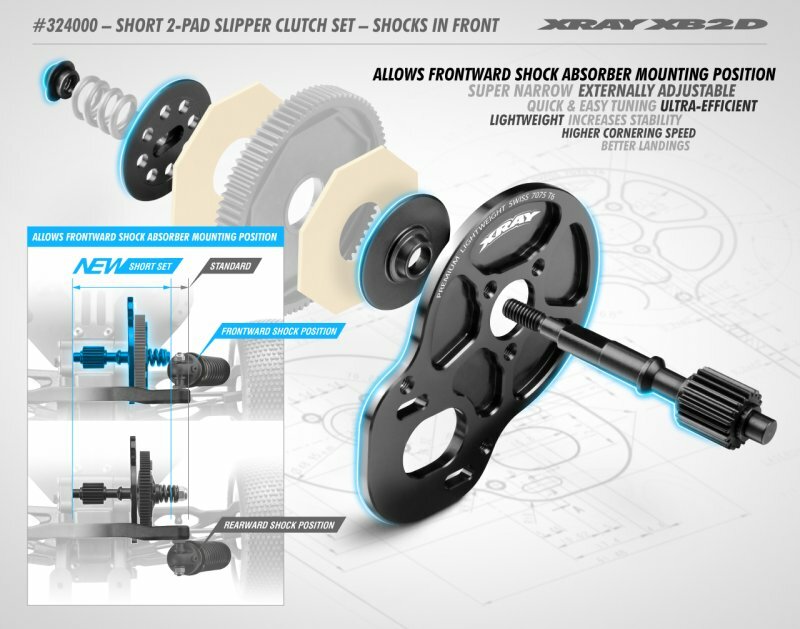 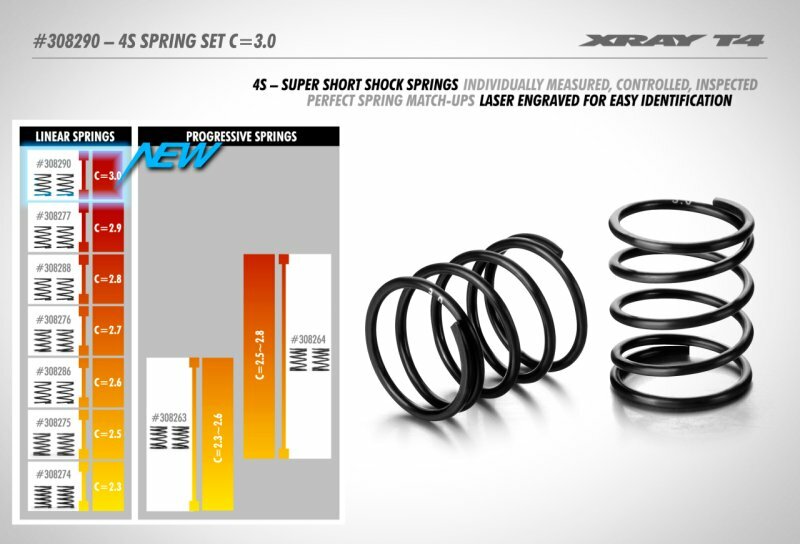 The gear diff increases on-power steering which is needed on almost all types of tracks. 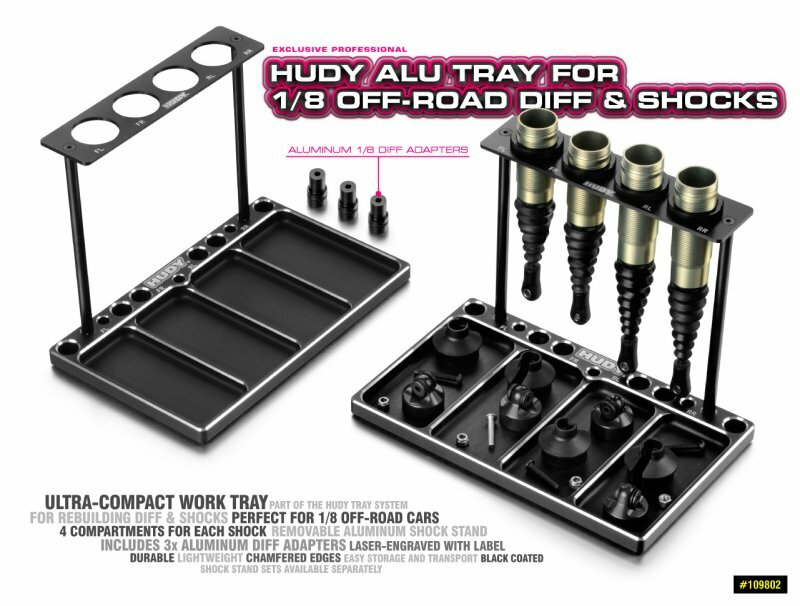 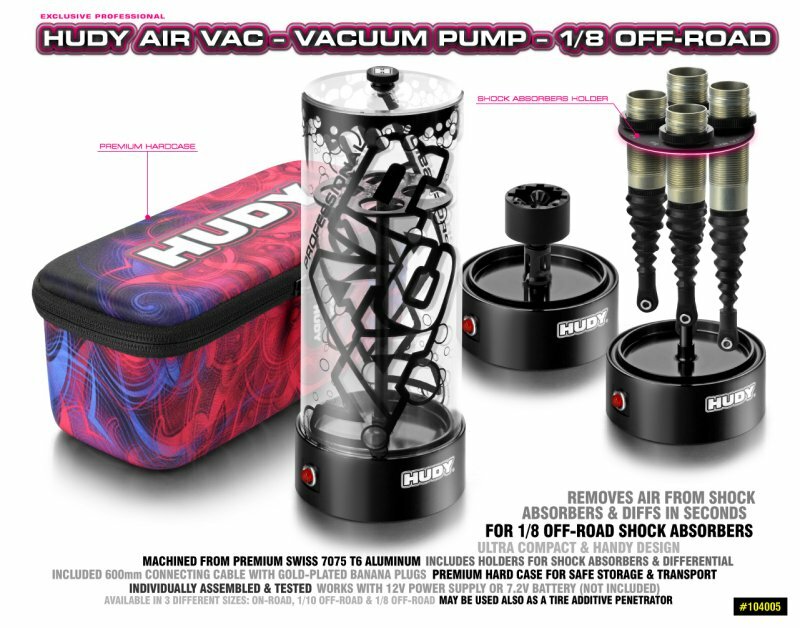 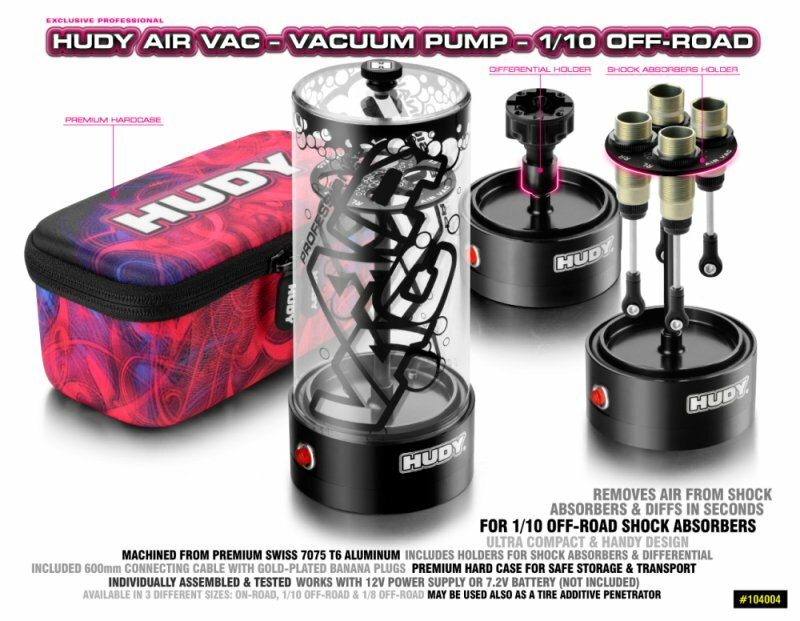 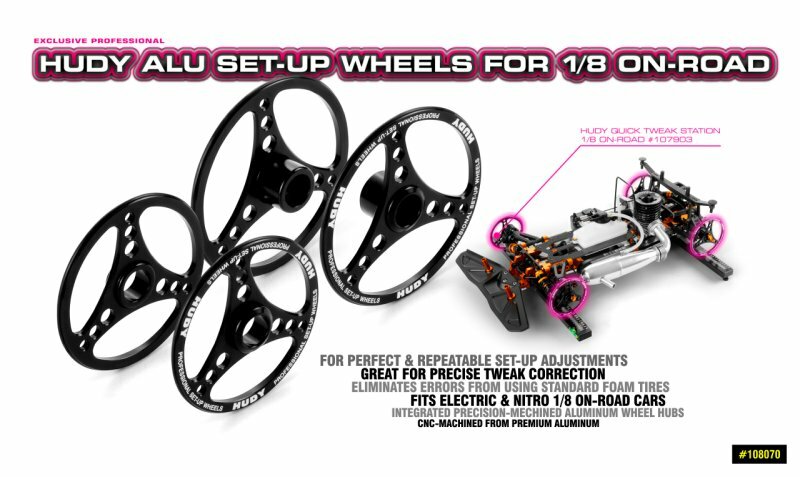 A �must have� for every racer. 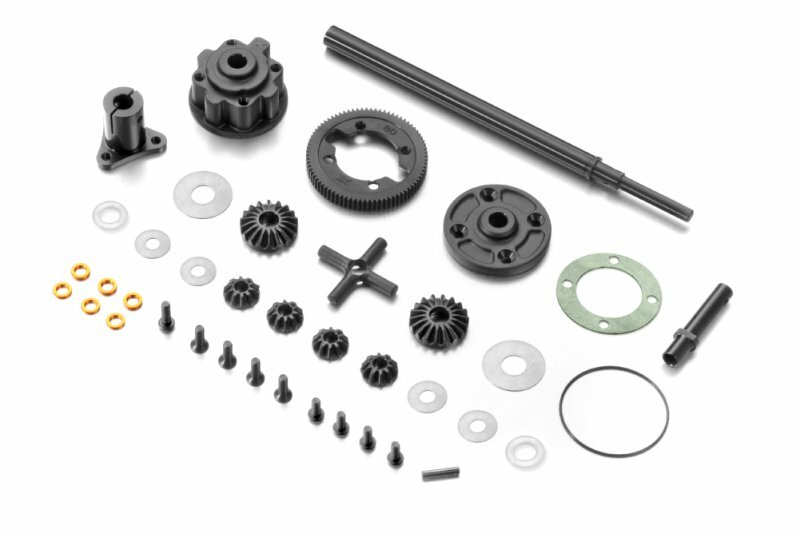 The complete gear differential set includes a composite case and cover, precision-molded internal satellite gears made from special XRAY-developed composite material, all ensuring long lifespan and super-smooth efficient operation. 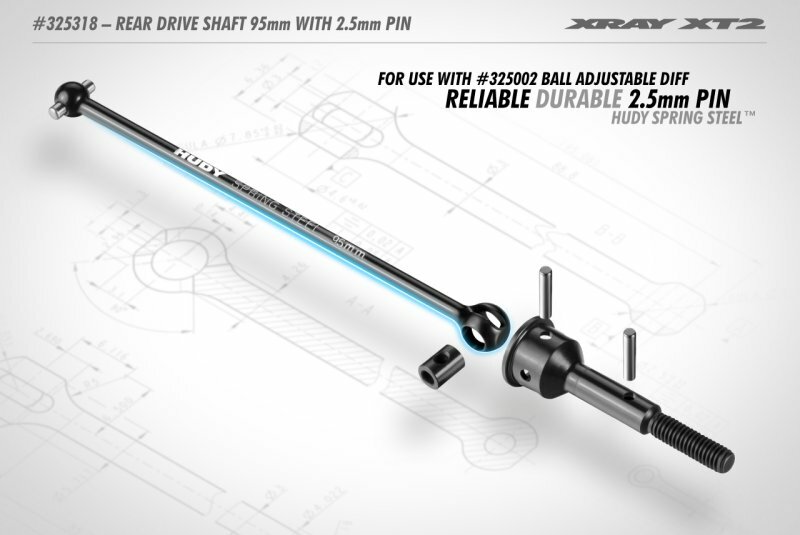 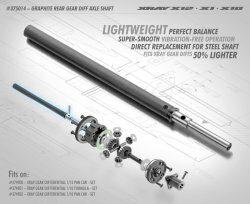 A super-strong hollow steel shaft ensures maximum reliability and strength. 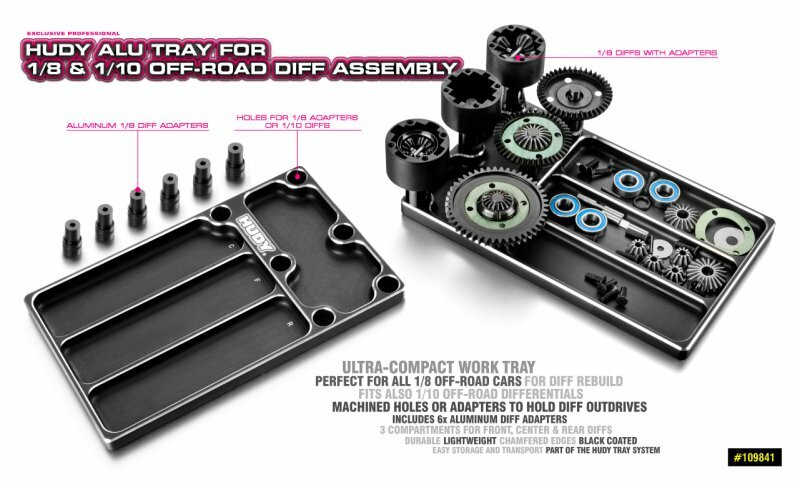 The advantage of the gear diff is that it is maintenance-free. 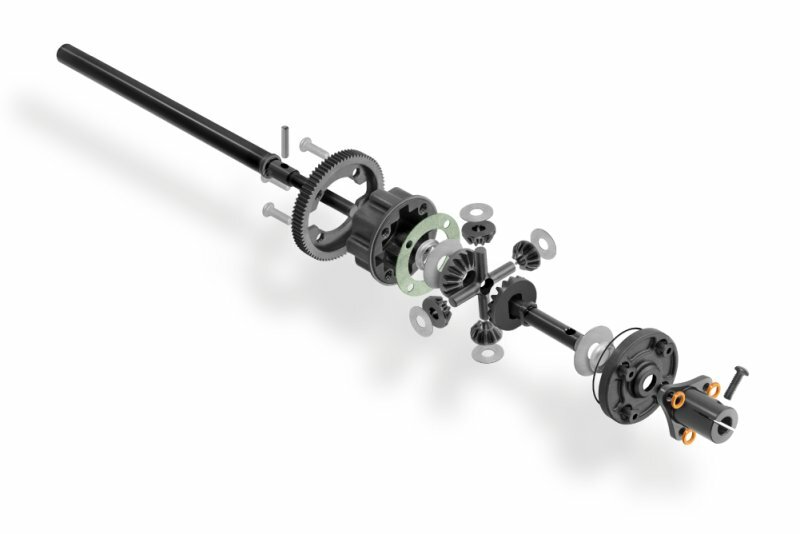 When the diff is correctly built, there is no need for maintenance for a very long time, no need for frequent oil changes, and no leakage due to a superior sealing system. 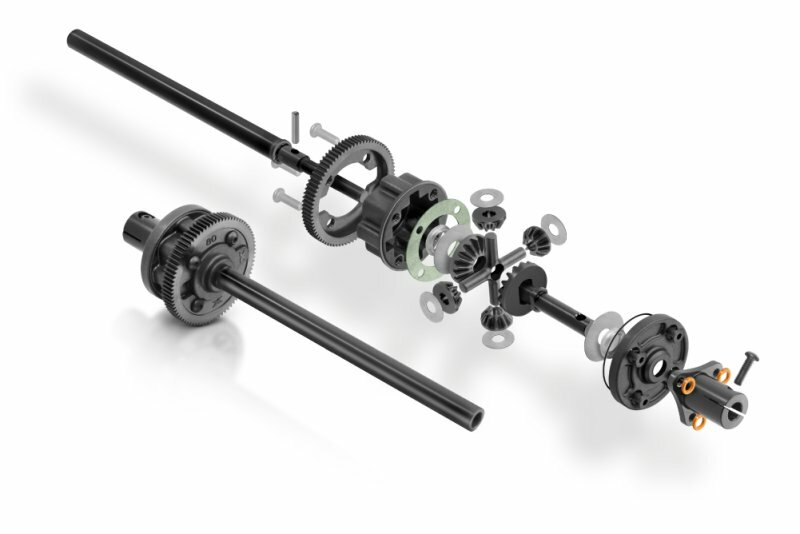 Note: Please note that due the nature of the gear differential and the forces and tensions involved, the gear differential with both aluminum and graphite axle are likely to be less resistant on the wear and/or breakage than the standard ball differentials. 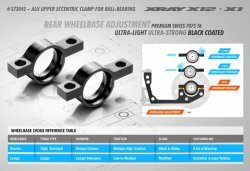 If you are not concerned about performance but the reliability and lifetime we suggest to use the standard ball differential.